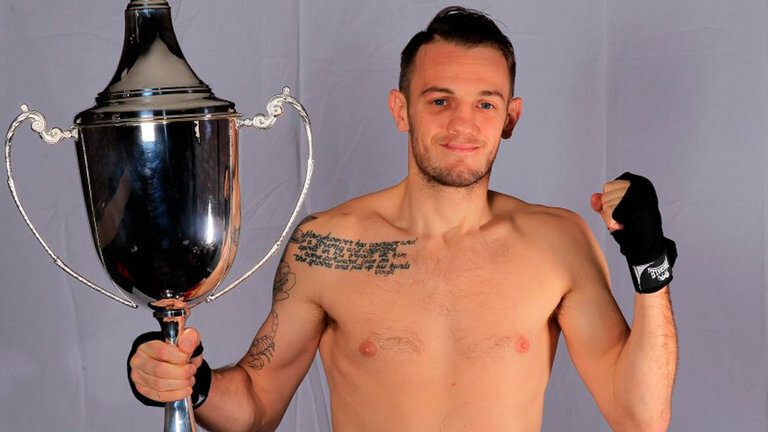 At 31, and following a crushing lost to Maxi Hughes late last year, Surrey’s MTK star, Danny ‘Cassius’ Connor has been afforded a double opportunity to kick-start his career – a three fight promotional deal with Noble Art Promotions, and a potential English title shot, at least. Fronted by Joey Pyle and John Edwards, Noble Art is fast becoming something of a heavy-hitting stable in and around the London area and, following on from the success of their last show, at the Thistle Hotel, Heathrow, the Connor signing keeps the momentum going. Originally trading punches at super lightweight Connor, who hails from Surrey and boasts a 17-10-2(2) record will be making his next appearance, his first under Noble Art auspices, in July at the Westcroft Leisure Centre, Carshalton, in what is hoped to be an eliminator contest for the victor of Myron Mills – Marcus Ffrench upcoming tussle for the English lightweight strap. At the thirtieth time of asking, and in his eight years as a professional, it’ll be an overdue shot at the bigtime having won, and successfully defended, the Southern Area super lightweight title against Chris Evangelou in late 2012-early 2013, as well as having appeared in two Prizefighter tournaments – losing the 2013 final to Chris Jenkins after successes against Ryan Taylor and Charlie Rice. “I’ve known Joey (Pyle) since we were kids, we’re like family, and had seen what he was doing around SW London and both felt that I could be a headliner for a few of his shows. Mills and French clash on May 4 in Derbyshire for the English title so whoever Connor opposes, providing the British Boxing Board grants the eliminator, will know well in advance as to who would be next in line. For Connor though, he’s out exorcising some ghosts, and exercising his body, after a tempestuous past six months, a one highlighted by both the loss to Hughes, and the parting ways with now former coach, Alec Wilkey. “I’ve been boxing relative journeymen for the past three years when all I’ve wanted is a chance,” explained Connor. “I’ve faced the likes of Evangelou, Goodjohn, Jenkins, Boylan and Hughes so I know I’m at that level but, the run-up to the fight with Hughes (Connor lost via a TKO4 in November) I’d split with my trainer, Alec Wilkey, which affected me massively, messed with my head and it was all horrible, I felt hurt. “I even had to lose 36lbs in seven weeks before the fight as well. “So I was far from right in myself. Since then I’ve picked up a few injuries, had the Australian Flu, pretty much had the worst time, even thinking about jacking it all in. Joey meanwhile, who will see Connor training under his old amateur coach, Adam Martin ahead of the July homecoming said of the recent addition to the Noble Art camp: “Over the moon to announce that MTK boxer Danny ‘Cassius’ Connor will be signing a three fight contract with Noble Art Promotions. “Danny is a fantastic professional and with our weight behind him we will be pushing him towards the English and British lightweight titles. “He has been in the hands of some great managers but he needs a promoter to push him onto the title scene.